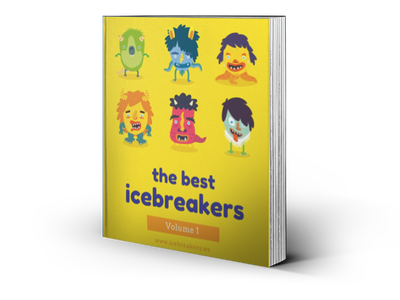 Zip, Zap, Boing - Icebreakers, Icebreaker Ideas, Games, Activities! A quick thinking game like Hot Potato without a ball. Kids play it on the playground, drama students play it as a warm-up exercise, and party-goers play it as a drinking game.This versatile little distraction has many variations, each named differently after the words called. Most start with Zip; Zip Zap Zop, for example. The hard to pronounce Zoom Schwartz Profigliano is a related game. Both of the versions described below are best played with groups of about ten or more. This most basic version of them game isn’t very challenging, but will get a group moving and using their voice, and get them used to paying attention and responding. It’s great for the start of a class! The first player claps their hands, says “Zip", and points at another player in the circle. The player that was pointed to must immediately clap and point at someone else in the circle (including the previous player), saying “Zap". The third player continues the pattern, this time using the word “Zop". The pattern of words repeats, going: “Zip", “Zap", Zop", “Zip", “Zap" etc. If anyone hesitates or says the wrong word, they take a strike. Three strikes and a player loses, which ends the round. Try to play the game with some speed to increase the chances of a mistake. If a player wants to choose the player to their left, they point and say Zip. If they want to choose the player on their right, the point and say Zap. If they want to choose the person that just pointed at them, they say Boing without pointing. Each time another player is selected in this way, it is their turn to quickly Zip, Zap, or Boing. If a player hesitates or doesn’t respond when it is their turn, they get a strike. If a player’s word doesn’t match where they are pointing, they get a strike. The first player to three strikes loses, and the game ends. After a round or two, mix things around and up the confusion by changing the rules: now, when a player Zips or Zaps, they DON’T point, and when the Boing, they DO point. Everyone’s brain will get twisted into knots trying to relearn when to point and when not to, and the players to either side of the current player will have to be really paying attention because they have to rely on the words rather than the motions to know when it is their turn. Active Archives - Icebreakers,Ideas, Games, Activities!